Our mission is to provide novel, interdisciplinary approaches to treating medical conditions. Specifically, we strive to develop electrical waveforms that produce anti-microbial (electronic antibiotic), anti-inflammatory (electronic cortisone), and analgesic effects. By delivering these waveforms through automated, user-friendly devices, we seek to treat a multitude of medical ailments, including wounds and the pain from opiate withdrawal. We are also developing medical devices that utilize photonic technologies. The ultimate purpose of our mission is to extend the quality and quantity of life. We are continually committed to providing a financially stable platform from which physicians can offer ethical and viable solutions in the global marketplace to significantly benefit patients worldwide. Incorporated in Nevada, with extensive Research and Development and manufacturing facilities located in Pasadena, CA, BRC comprises an accomplished team of professionals with established expertise in academia, medicine, engineering, and technology. Cofounder and CEO of BRC, Dr. Kaye holds over 35 years experience in experimental electrotherapeutic methods, which began with research under electrophysiology pioneer Robert O. Becker, MD . 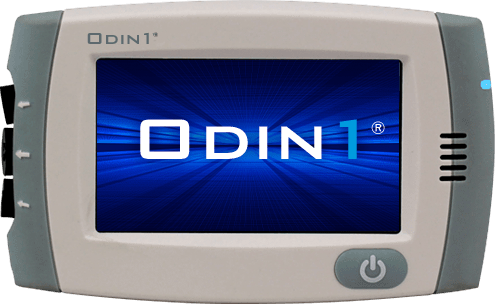 His lifelong clinical research experience in electrotherapeutic methods has culminated in the successful launch of the ODIN 1®. Prior to his commitment and investment in BRC, Dr. Kaye owned and spearheaded a prolific medical practice with 12 locations across California. With more than 15 years of experience in managed care as CEO and cofounder of an Independent Physician Association, Dr. Kaye brings scientific context, practical insight, passionate drive, and depth of understanding as the leader of BRC. Cofounder and Senior Adviser of Research and Development at BRC, Dr. Kaye was instrumental in creating the requirements and specifications, software design, and hardware integration of the ODIN 1®. Prior to his investment in BRC, Dr. Kaye studied at UC Santa Barbara and was awarded a BS degree in Physics, where he played an integral role in developing a medical device that more accurately diagnoses osteoporosis. Dr. Kaye has a PhD in Applied Physics at Harvard University specializing in biophysics. He was also a Post Doctorate fellow at Harvard researching cell division related spindle polymerization initiation. Among his many accomplishments and awards, Dr. Kaye is a Harvard University Pierce Fellow, Smith Fellow, and a National Science Foundation Graduate Research Fellow. Operations Manger and Bioengineer at BRC, David handles the day to day business of the company, the technical writing and documentation as well as any technical support that is needed. David studied Biomedical Engineering at UC Irvine as well as Biotechnology for his masters at San Jose State University. He brings project management and leadership experience from his work in the theater industry. Chief Regulatory Officer, is an integral member of the BRC logistics and management team as well as the strategic planner for the international marketplace. A seasoned entrepreneur who has contributed to the success of numerous biomedical start-ups, Mr. Bentley draws on his 10 years of experience in developing and manufacturing electrotherapeutic devices in compliance with FDA standards and requirements. Vice President of Engineering at BRC, has more than 30 years of experience in project management of electrical, mechanical, and software devices. He is the author of nine patents in biotechnology, visual display systems, and industrial automation, and has founded several technology-based companies. His patented electroporation system has been in use in biological research laboratories for transfection of bacterial and mammalian cells for over 18 years. Lead biomedical scientific advisor at BRC. He is Professor Emeritus of Electrical Engineering at Minnesota State University, Mankato. He holds masters degrees in electrical engineering, biomedical sciences, and business administration (MBA), and a PhD in electrical engineering. He is the author on over 65 publications, 6 patents, and wrote the textbook Electrotherapeutic Devices: Principles, Design and Applications. His biomedical research and development interests include models and simulation tools for cell and tissue engineering, design of electrotherapeutic devices, and induced cell dedifferentiation.